Prepare the tissues and heart! 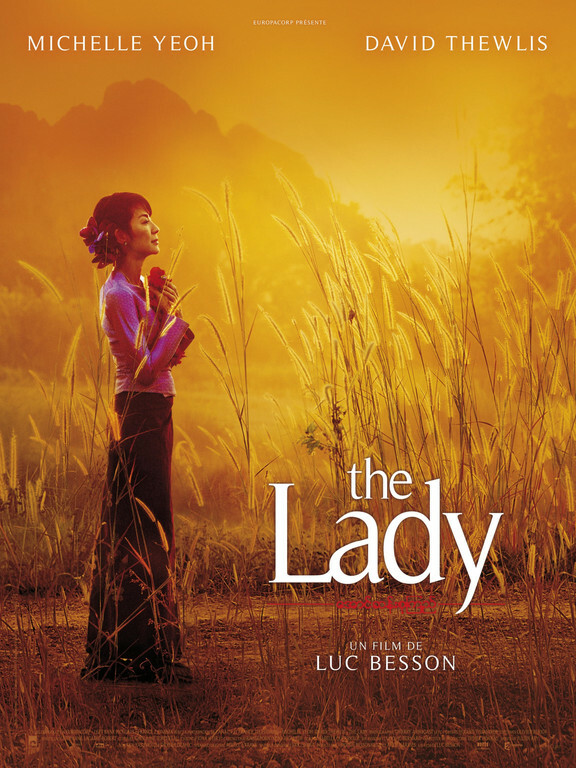 The latest film by Luc Besson tells the story (real) Aung San Suu Kyi, elected prime minister of Burma (now Myanmar) in 1990, never having been able to take power, prevented by the dictatorship that still reigns in your country. Prisoner in her own home for almost 20 years without contact with the outside world, or his family, the "Iron Orchid" - as was sometimes called, had to give up living with her children and husband in the name of love and of duty to their homeland. Daughter of the last great leader of the liberation of Burma, Aung San Colonel - killed when she was a child - Aung San Suu Kyi (Michelle Yeoh) he married Michael Aris (David Thewlis) - a British university professor - living in Oxford, where - far from their homeland - had his two sons. In 1988, call to return to their country due to the critical health condition of his mother, Aung San Suu Kyi party, then to Burma, one-way trip. Once there, she is faced with a situation of extreme violence, poverty and dictatorship: a nation that knows the word democracy. The values ​​espoused by libertarians as her father fill the spirit and she feels she can not just sit back and let the country sink without hope. And that's where his martyrdom begins and ends his freedom. 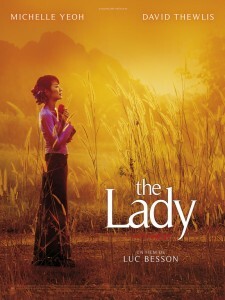 Given such a rich history, Luc Besson - who began working in film in 2007, with no possibility of contact with her heroine - could have followed several paths to the present life of Suu Kyi: the politics, the family, the existential drama ... ended up opting for the bias of emotion and beauty to show the world the biography of this great woman. And probably for this reason, it is being widely criticized by the French press, which is always more favorable to the existential questions, withdrawal or extreme realism (no frills). The fact is that the film is beautiful, exciting, and the director managed to give his work the same striking feature of the woman he portrays: a fortress adorned with flowers. War, violence, dictatorship and suffering we are presented with extreme delicacy, elegance, beauty and poetry. The scenes are beautiful! The effects of slow-motion, close-ups, general plans, all are extremely pleasing to the eye and heart! And it touches all over this story is knowing that everything we're seeing was (and still is) going on while we took (and take) our little life free and happy! The performances by Michelle Yeoh and David Thewlis are to get the hat! French critics may even be right in saying that Besson surrendered to the melodrama, the movie "The big budget", commercial, etc.. But this does not prevent the film is extremely sensitive, exciting, beautiful, full color plans and breathtaking! The scene in which Aung San Suu Kyi goes through the machine gun in slow motion, immersed in his world full of peace and quiet is absolutely magnificent! I'm sorry that the much respected Cahiers du Cinema, Positif, Télérama etc., but I loved the movie! It is a beautiful "portrait" of a great woman, of his great companion and a boundless love for a country! Super recommended! PS. In November 2010, Aung San Suu Kyi was finally able to "freedom", but their fight is far from over. Luc Besson's film is also a way to remind the world that such atrocities still being held in various parts of the globe. ~ By Lilia Lustosa on December 19, 2011.